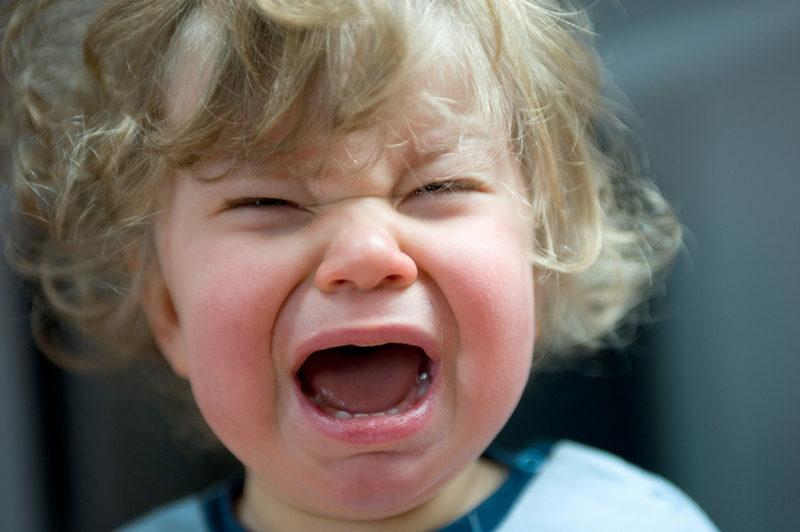 Toddler tantrums. They aren’t fun and can strike without warning − usually at the worst possible moment. NSW mum Ashley Holmes was facing one such moment when the unexpected kindness of a stranger caught her off guard. It’s a scene that will be familiar to all parents (even Kristen Bell can relate). Ashley was in her local Aldi store with her toddler and six-year-old son when her youngest decided to throw a tantrum while she pushed a trolley full of groceries under the watchful eyes of fellow (child-free) shoppers. “Today, whilst doing my grocery shop at Aldi Kurri Kurri, NSW, my three-year-old son decided he would have a full blown meltdown,” Ashley wrote in a Facebook post. At first, the mum was only aware of the annoyed shoppers around her, but she refused to abandon her trolley like she normally would. Ashley says she made her way through the register with her son still screaming and was midway through her dash to the car when she saw a staff member approaching her. “In complete exhaustion, embarrassment and utter disappointment, a lady in an Aldi uniform came walking towards me,” Ashley wrote. “I thought, ”Argh, what now?’ BUT, she handed me a beautiful bunch of yellow roses from the store, and said, ‘we thought you deserved these, I hope your day gets better, and please don’t be embarrassed, we understand’, and gave me a hug. Sharing her appreciation for the beautiful gesture in a Facebook post, Ashley says the Aldi worker’s actions filled her with thankfulness. “That gesture, honestly brought me to tears. That was so beautiful. I wanted to just show my honest appreciation for that gesture. For the total NON-judgement. Originally posted in August last year, the post continues to strike a chord with parents, still garnering supportive comments all these months later. “I know how you felt, been there with my own, you’re a wonderful caring mother in my book,” one commenter wrote. As a mum to a toddler prone to the odd tantrum, I had a similar experience when shopping at an Aldi store in Vincentia, NSW. My son was jumping, yelling and just being a typical three-year-old when a staff member handed my son a flower. That simple gesture caught his attention, brought out his polite side and made for one very thankful mumma! Instead of throwing a judgemental glare or a few mumbled words towards a struggling mum with a tantrum-throwing toddler in tow, we could remember the old adage, ‘It takes a village to raise a child’, and follow the example of these Aldi shop assistants. It really doesn’t take a lot to be kind, and yet the impact can be profound. Do you have your own story to share? We’d love to read it in the comments on Facebook.